When the summer sunshine is in full swing there’s no better way to cool off than to head to one of Barcelona’s many beaches. Although relaxing in the sun is always an option, the beaches here offer so many exciting water sport activities. If you’re looking to get active, choose anything from kayaking to windsurfing and we know you’ll be satisfied. Head towards the water and get ready for an unforgettable Barcelona beach experience! 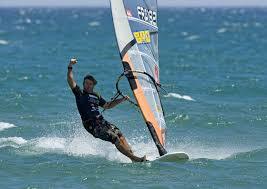 Windsurfing, one of the most intense water sports, is an ideal choice for those looking for something challenging. If you are feeling up for it, check out Escola de Vent which offers lessons and outings on the Mediterranean. This Barcelona water sport is a definite must for those of you willing to try something extremely active, but lots of fun! You can enjoy kayaking at the Barcelona beaches or head to one of the nearby beach towns on a day trip. Companies such as Excursions Barcelona offer a wonderful trip to Costa Brava where you can hop in a kayak and check out the breathtaking caves and sea life of the Mediterranean. SUP, also known as Stand Up Paddle, has become one of the most popular water sports around in the past couple of years. Hop on what looks like an oversized surfboard and head out to the middle of the Mediterranean. 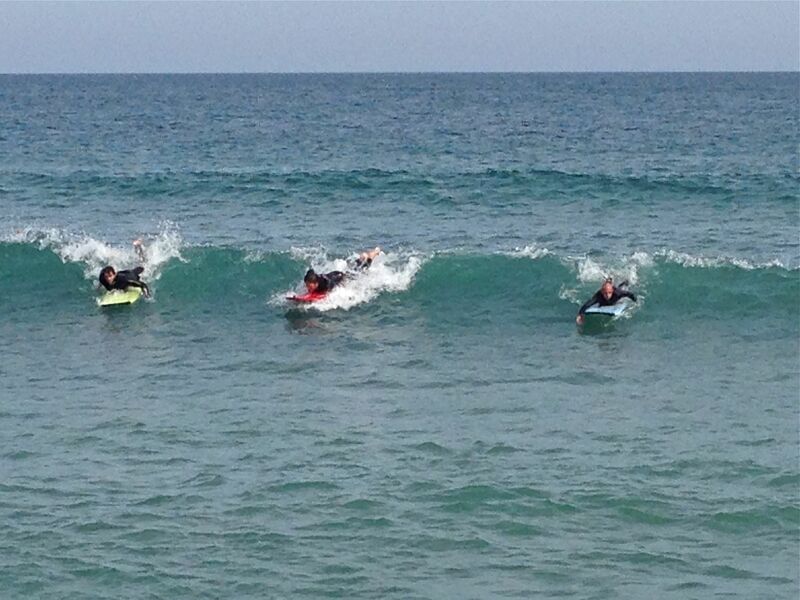 There are many places that offer outings such as SUP Barcelona and Surf House BCN for beginners and experts alike. It is the perfect way to be active with some friends! A relaxing sailing trip is a great way to enjoy the water. Although a more low key water sport, it definitely gets you moving. Check out Skyline BCN, a company that offers all types of sailing adventures. You can even book a private tour if you are looking for something a bit more special on the exquisite Mediterranean. This water sport is calling all of you extreme sports enthusiasts out there! This activity will have you flying high above the Mediterranean water with a jet pack attached to your feet, shooting down the water beneath you, making you feel like a real superhero. Flyboard Barcelona offers group outings so if this sounds like you, don’t hesitate to sign up! Fancy the ocean air blowing through your hair while taking in some of the prettiest Barcelona views? Renting a jet ski is the perfect option for you. You can enjoy a Barcelona jet ski tour along the Barcelona beaches and take in a unique view of the city skyline as you go. Look up Jet Ski BCN and Barcelona Jet Ski to begin your exciting water sport adventure. Heading out on the beautiful Mediterranean with a surfboard is one of the most energizing feelings. The calm waters of the Mediterranean are the perfect option for those who are just beginning in this water sport. Whether grabbing a surfboard and taking on the waves in the early morning or during the day, an experience surfing here in Barcelona will be one to remember. 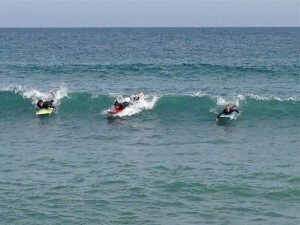 Check out BoxBarcelona or Pukas Surf Escola to sign up for lessons! This entry was posted in Activities, Home and tagged barcelona activities, barcelona scenic boat tours, family activities barcelona, group activities barcelona, outdoor activities barcelona, sailing barcelona, summer activities in barcelona, summer in barcelona, things to do in barcelona, water sports barcelona. Bookmark the permalink.